bartender in ParovozSpeakEasy. 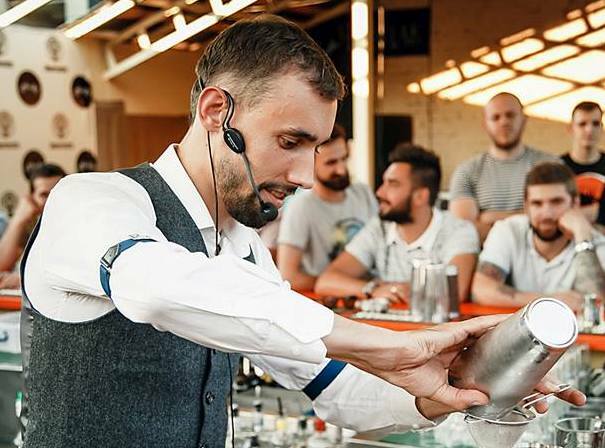 The finalist of numerous competitions, the winner UltimateMoninCupUkraine 2014, UltimateMoninCupGlobalFinalParis 2014.
founder of ParovozMixologyCourse, bar manager ParovozSpeakEasy, Ambassador of Diageo Ukraine. a professional with 20 years experience at the bar. Successful designer and creator of the cocktail bar cards.